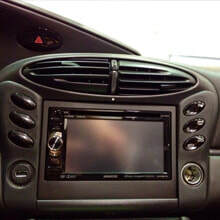 Plug in your iPhone and mirror all of the things you normally do on your iPhone screen, on a large display in your car! Play your favorite music, access your phone, or get directions while you stay focused on the road ahead. There are three ways to control your Apple CarPlay system. 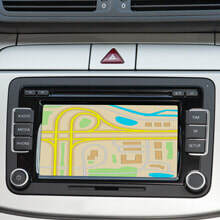 Access Siri voice navigation from a button on your steering wheel, use the touchscreen display, or if your car is equipped with knob controls, it can be accessed with them! Now you'll be able to use many apps you've wanted to while driving, like; podcast, audiobooks, iHeartradio, Spotify and Overcast, to name a few.